Movember 2018 has kicked off with an ambitious, targeted and intelligent digital marketing campaign. The campaign for the Movember Foundation’s annual fundraising month has been devised by purpose-driven digital agency Blue State Digital and runs across Australia, the UK, the US and Canada. The activity for ‘Movember’ has now launched, with Movember season beginning November 1st. The work for the men’s health charity will focus on a detailed digital acquisition campaign encouraging men to sign up to either grow a moustache for the month of November; to join its ‘Move’ campaign and commit to running 60k over the month; to host an event, or to donate. Alongside this, in the US, there will also be an awareness campaign in New York and the Tri-State Area running across social channels, YouTube and out of home media. The overarching campaign builds on the work done by Blue State Digital in 2017, which involved deep analysis of the valuable segments of the Movember Foundation’s database, alongside continuous refining and testing of messaging and audiences as the campaign progressed. The 2017 campaign saw Movember exceed both its sign-up and donation targets by 33 per cent and 84 per cent respectively. The 2018 campaign will refine this further and focus on reaching the most engaged of the charity’s fans and contacts. Adverts in all markets will be bold and image-led, with graphics based around Movember’s iconic moustache logo. Sign up messaging will fall into one of three strands: direct asks (i.e. 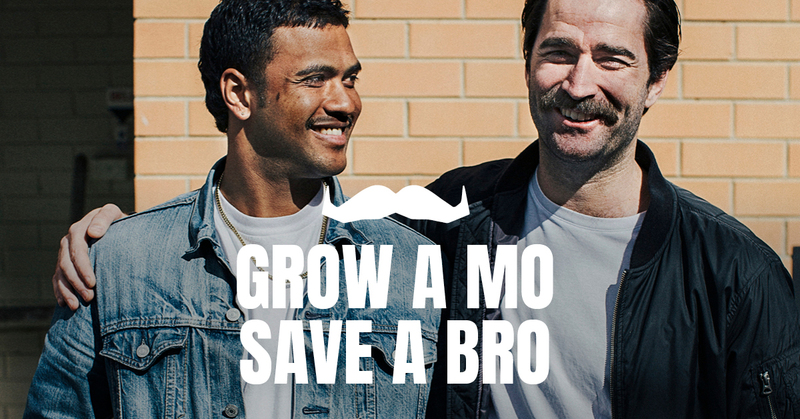 “Grow a Mo, save a bro”), countdown messaging to encourage sign up through the month, and testing new ‘outlier’ content (i.e. new ideas, such as community-focused messaging which encourages people to participate for the men in their life). As the campaign progresses, these will be joined by ‘nurturing’ messaging, encouraging people to donate to themselves/download the app) and a broader donate campaign (asking prospects to donate to Movember more broadly). In total, Blue State Digital expects to deploy more than 4000 variations of ads across social and digital channels, reaching both existing prospects and men new to the Movember cause. Movember Foundation digital marketing & automation director Meaghan Bilinski said: “We were excited to work with Blue State Digital again in 2018 to build upon the success we saw last year. Hannah Johnson, managing director at Blue State Digital said: “It’s been fantastic to build on the work we did last year for Movember – and to help the worthy foundation continue its mission to positively impact men’s health. “With mental health issues on the rise, the work the foundation does is more important than ever. “The charity has a strong supporter base, but fundraising in 2018 is a crowded place – with costs to serve adverts increasing year on year. “Being able to dig into the data and generate insights, tests and refinements that make a real, monetary difference to the charity and those it supports has been a huge privilege and is already helping us drive efficiencies.